William Francis Yardley was a politician, businessman, lawyer, and civil rights advocate in post-Civil War Tennessee. Born free on January 8, 1844 to an Irish mother and a black father in Knoxville, Tennessee, he was abandoned at the doorstep of the Yardley family, a prominent white family who took him in, named, and raised him. The Yardleys apprenticed young William out to learn to read and write until he turned 21. He was also mentored by Thomas Humes, the rector at St. John’s Episcopal Church. After age 21 Yardley taught at the all-black school in Ebenezer, a town near Knoxville. During his free time he read law. In 1870 he married Elizabeth Stone and two years later he passed the Tennessee bar and became the first African American lawyer in Knoxville. Yardley also began his political career as a Republican and was elected to the Knox County Court in 1870 and the Knoxville Board of Aldermen in 1872. In the summer of 1876, while starting his new position as the second assistant fire chief and as justice of the peace for Knox County, he was prevented from speaking at a local Republican rally because of his race. Angered over the exclusion, Yardley traveled to the state Republican convention in Nashville where he spoke against proposed miscegenation laws and segregated schooling. In his speech he also proposed removing racial references from the state constitution, startling the mostly white convention delegates. He surprised them again when he announced that he would run for Governor. Campaigning as an independent Republican against three other candidates, Yardley became the first black person in Tennessee to run for the state’s highest office. He received only one percent of the vote, but his nine-week campaign drew national attention and criticism. Following his 1876 gubernatorial run, Yardley maintained a presence in Knoxville politics. Concerned by the lack of support for black issues by the state GOP, he called on the city’s blacks to support African American candidates. His calls led to the election of six black aldermen in the city’s Fifth Ward between 1880 and 1900. 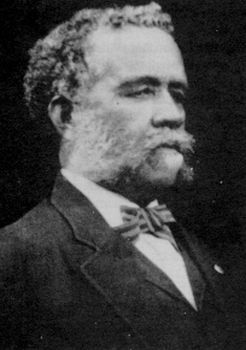 In 1878 Yardley published Knoxville’s first black newspaper, the Knoxville Examiner, and in 1882 he founded the Knoxville Bulletin. As a lawyer he worked mainly for the Continental Insurance Company but he also found time to represent many poor blacks in criminal cases. In 1883 he became the first black lawyer to take a case to the Tennessee State Supreme Court, arguing that requiring inmates to “work-off” the costs of their prosecution unfairly indentured poorer convicts. Although he lost the case, the policy was eventually abolished. At age of 76, Yardley was involved in his last high profile case when he represented Maurice Mays, who was accused of climbing through a window and shooting a white woman. The alleged murder led to the Knoxville Race Riot of 1919. Although Mays was found guilty and executed, most modern historians believe he was wrongly convicted. William F. Yardley died in Knoxville on May 20, 1924.